Whether or not you are a Pittsburgh Steelers fan, you have to enjoy the warm, comforting combination of bourbon and hot apple cider in this Steelers Cider recipe. This warm drink was created by Maker's Mark for the Steelers' 2011 play for the title in Superbowl XLV against the Green Bay Packers. Though it did not turn out well for the Steelers in that game, this remains a fantastic drink for fans who enjoy a great game day party. The drink is very simple and is made in a large batch so it can easily be mixed up to serve any size number of guests. The warmth opens up the aroma of the bourbon and cider and helps all of the spice's flavors come together in perfect harmony. You can easily prep this drink before the game and have it ready for heat just as pre-game begins. Combine bourbon and cider in a medium saucepan. Add lemon, cloves, allspice and cinnamon sticks. Heat over medium-high heat until the surface of the liquid almost begins to bubble. Pour into an Irish coffee glass. Maker's Mark is truly one of the best bourbons for this drink and it is one of the top choices for any warm cocktail. The whisky's sweeter profile opens up perfectly when heat is applied and it is the perfect base for the traditional winter spices used here. While the recipe given makes about 5 servings, this is a very easy drink to increase or decrease to serve any size of party. The ratio of bourbon to cider is a simple 4:1, which is easy math. For instance, to triple the recipe, you would begin with 24 ounces of whiskey (almost a full 750ml bottle) and add 96 ounces of apple cider. Of course, you may need a larger pot and will also want to increase the spices accordingly. 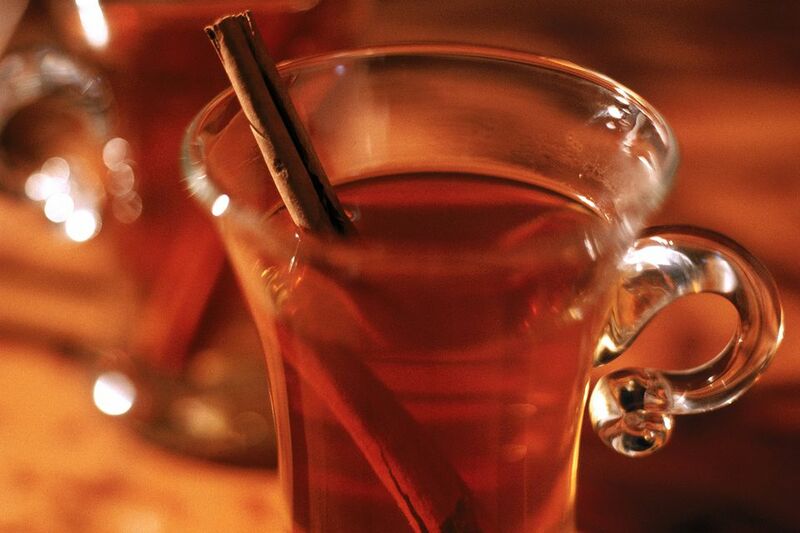 Warm apple cider drinks like this are perfect for all-day service as well and it works perfectly for family holidays. Simply combine all of the ingredients and warm them up as needed throughout the day as needed. It is a great way to not only allow guests to enjoy a hot drink as they desire, but fills the house with a lovely seasonal aroma. How Strong is the Steelers Cider? The high volume of apple cider in this drink makes it a relatively tame one. In fact, if made in the exact proportions given, it is weaker than a glass of red wine and comes in at just around 9 percent ABV (18 proof).